Just as I get caught up in the series, the next novel comes out! Wondering how far this series will go. It's already up to 12 books now! Definitely an interesting series! It's a fun little read that I am curious to see where it goes! I've only read the first Kitty book. I enjoyed it though! Old follower but am now also following via BlogLovin... Have an awesome day!! Nice picks! I still have yet to read The Collector but I really want to! I'm hanging for Liberator too!! Awesome choice!! I still need to read both these series. 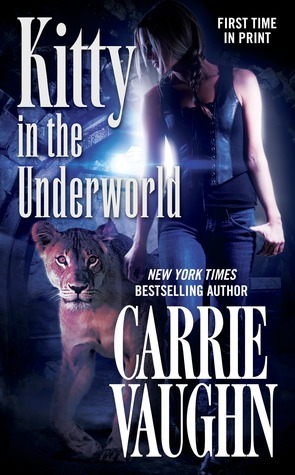 I love the Kitty covers. I need to start the Dante series. Hope you get to read it soon! i really want to check out the dante walker series because the covers are hot! I've always been intrigued by that Carrie Vaughn series but damn if I'm ever going to be able to catch up at this point. Lol Great picks though! I CAN'T wait for The Liberator!! Love your picks! Cool picks! Thanks for sharing. I still need to read The Collector! Great choice, Jessica! Thanks for stopping by! This is the only UF series I've never really gotten into, but I feel like I should try again. It was years ago that I read the first book. Yay for the Liberator!!! I am so excited for that one too! Great choices Jessica! definitely gonna have to check out the second choice, first one sounds good too just not really my cup of tea! Thanks for stopping by - hope both books are worth the wait! 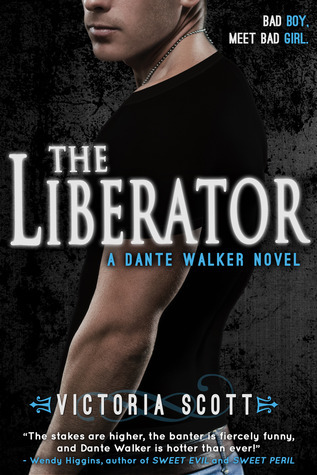 The Kitty book sounds cool, but it's the Liberator that I'm really dying for!!! Great choices!!! Ohhh The Liberator! I still need to read The Collector. Great picks! they both look so good! love the first cover. Great picks! The collector is on my TBR list:) Thanks for stopping by my WoW. Awesome picks, Jessica. I haven't read The Collector but I remember seeing my twitter feed and my Goodreads going absolutely gaga over it, lol. I'll have to read it soon so I won't feel left out.